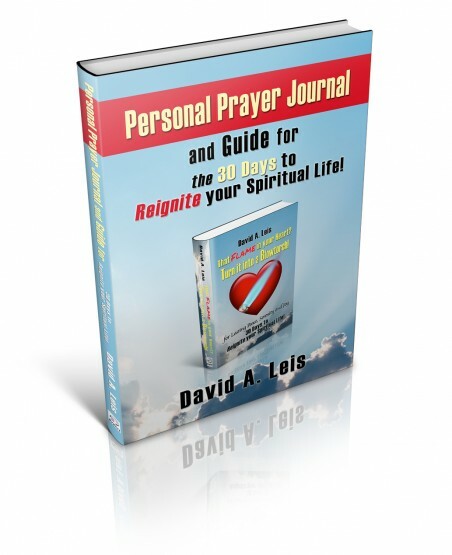 Reignite Your Spiritual Life in 30 Days! | Turn it Into a Blowtorch! 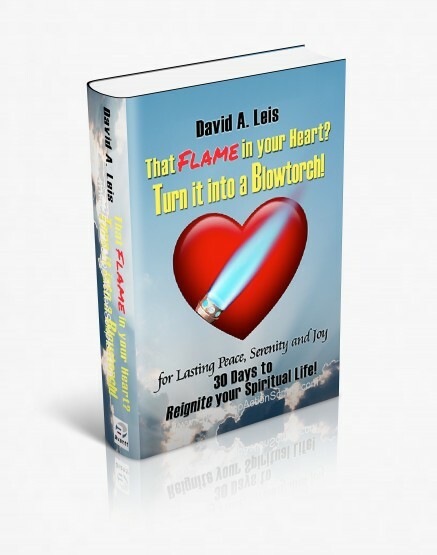 Reignite your spiritual life in 30 Days! Really? Absolutely! You see, this is an unusual book. It chronicles my spiritual journey yes, but more: it really is ‘putting flesh on the word’ which in fact is the call to all Christians, isn’t it? We are called to put flesh on the Word of God given to us in the Bible. We are called to live our faith in such a manner that it is evident to all who encounter us. The book chronicles my spiritual journey as a set of reflections with 30 chapters, one for each ‘day’ of a program designed to be done over a period of 30 days. It offers the reader the chance to ponder the words coming from Heaven and on one man’s attempt to live the words he believes are coming from Heaven. At the end of each day’s reflection, the reader is provided a set of very penetrating questions in a transformative format which will immediately draw you into a dialogue with the Person of Jesus Christ. To give you a sense of the process, the following has been extracted from the Introduction. 30 Days to Reignite Your Spiritual Life! There are 30 Days in the book which correspond to the 30 Days in Volume Two a book by Anne, a lay apostle, which can be obtained from Direction for Our Times (www.directionforourtimes.org ) Each Day can be read on its own, as the book will provide you with what you need to reignite your spiritual life. But better, read it in parallel with the readings in Volume Two (I recommend reading Volume One first if you have not, to give you some background. The book is $5 or can be downloaded for free from their website). Read one Day of each for 30 days, first from Volume 2 and then this book to prompt your own dialogue. In order to maximize the value of this exercise, I recommend that you do this 30 day program as part of your prayer routine, perhaps even substituting this for what you normally do for the 30 days if you cannot find the extra time in addition to your prayer time. For me, the absolute best time for prayer, and the one advocated over and over again in the New Testament by Jesus’s example – “and very early in the morning He went up on the mountain to pray.” See the Epilogue: Foundations of a Prayer Life (which can be found on this web site) for some helpful guidance. Read the Introduction and The Point exercise; it is your warm up! Answer the questions at the end of each chapter – Day, addressing your answers in a dialogue to Jesus. And then in your dialogue with Him, address one thing that you resolve to change in your life. It will please Him enormously and, by the end of 30 days, will reignite your interior spiritual life! He will do that for you, I am sure. You cannot open your heart to Jesus in new ways and not be changed. Be open to what He wants to dialogue with you about. The purpose of the book is to start or enrich your personal dialogue with Jesus on things He wants to discuss with you. He may surprise you as He has done and continues to do with me. He will make it clear, I am sure. I pray that your daily dialogue of the heart with Jesus will be richer and in more depth than what is found on these pages. May the flame of the Spirit (Lk 3:16) burn ever more brightly within you – so brightly that it becomes a blowtorch! And may your heart be set aflame with love for Him who created You in Love and who desires only one thing: your love in return. And only so that you, His created child will be joyful beyond your wildest dreams! Now and forever! So here is the first set of The Point questions for your reflection. I learned long ago that the best way to benefit from questions like these is to not just read them. Take time to answer each of them, ideally in your prayer journal. You will have the advantage of being able to review them later and perhaps add to them as you probe deeper. As a way to help you enter the dialogue with Him, I have phrased the questions in the first person as though He were talking with you. These are my questions, of course, but I think you can easily imagine Jesus asking them of you. I hope this rather unconventional method will make a one-on-one dialogue with the Person of Jesus Christ easier for you. 2. Are you open to loving Me in totally new ways beyond the ways you have before now? Are you willing to let Me show you those new ways? 3. Tell Me, what is your reaction as I say I will challenge you to grow in totally new ways? 4. My child, who are you, as you stand before Me? Do you know, really? Can you look deeply within at the real you as I see you? Are you willing to let Me show you? 5. What do you fear in saying yes to My Love? Taking Resolute Action: Jesus, this is one thing I need to change in my life, to take action on: (write it down). Please grant me the strength and grace to do it now!